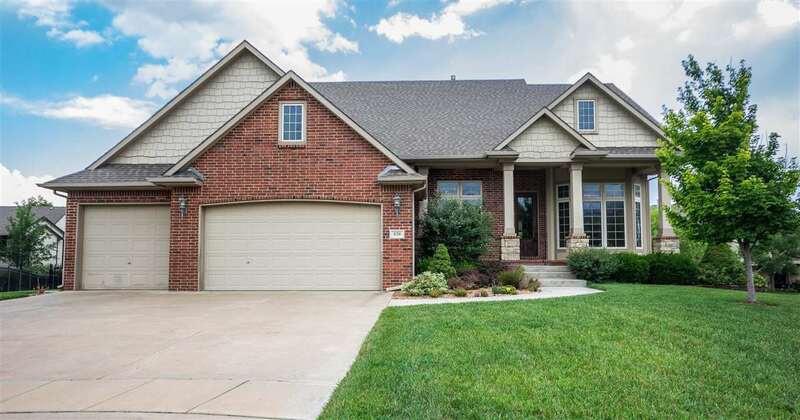 Stunning 5 bedroom home with gorgeous hardwood floors in Andover! This home has excellent curb appeal. There is stone, brick and siding with a large front porch. Inside you will notice the beautiful wood trim features and hardwood floors. The kitchen is open has granite counter tops. There is also a butler's pantry! There are 2 bedrooms upstairs and 2 downstairs. In the fully finished basement, you will find an awesome wet bar and a large family room - perfect for entertaining! Out back is a large backyard that is partially fenced. There is a nice deck and patio beneath. The house has a water well and an in ground sprinkler system! Call today for your private showing!